Finished Size: 28" x 25". 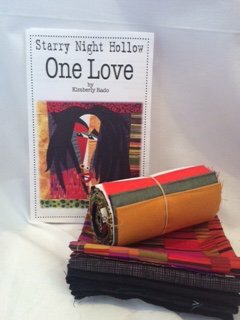 Kit includes pattern & fabrics for quilt front & binding. Batting & back not included.